Bask in Augusta's southern hospitality while enjoying a Masters package at one of the world's most storied courses. 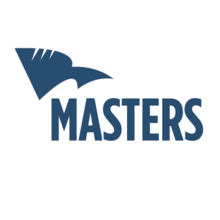 Get Masters ticket packages, hotel packages and hospitality. Head to the beautiful Augusta National Golf Club with a Masters package today! Your Masters experience with PRIMESPORT can include access to our permanent and exclusive full service hospitality spaces located just outside the gates of Augusta National. Experience first-class hospitality to include breakfast, lunch, afternoon hors d’oeuvres, all day premium bar service, concierge service, business center, private outdoor patio, live Masters coverage, and so much more! Looking to sell your Masters tickets? Fill out the form below and a PRIMESPORT representative will contact you. TicketmasterVIP is not sponsored by, affiliated with, or a partner of the Masters or Augusta National, Inc. TicketmasterVIP is an independent global sports travel & event management company and a provider of corporate and fan travel packages and hospitality events.